I am excited to announce my iPhone article iUI Web Development with Grails was just published as the cover story of the December 2008 edition of GroovyMag. 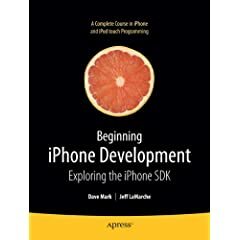 In the article I explain why you might want to consider iPhone web development over native iPhone applications, how to add native iPhone looking support to an existing Grails application using the iUI library and the iUI Grail plug-in as well as tips for testing and debugging iPhone web applications. Check out my article and the other great GroovyMag articles at http://www.groovymag.com/main.issues.description/id=4. Congrats on getting the cover story! I'm cheap - is the article available with paying $5? Not currently. If $5 is a barrier, please contact me via email and I can work something out.